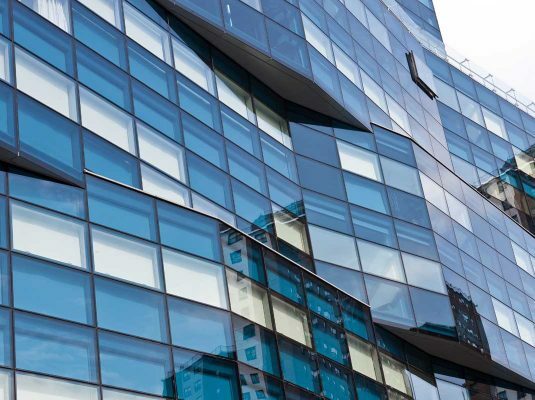 Veneto Vetro supplies glass panes for the creation of facades in both residential and industrial structures. The choice between the various types is very wide and includes: insulating glass, triple insulating windows, selective glass, anti-condensation windows, anti-burglary windows, and many other types. For this type of application, the choice of glass and its processing is very important to ensure an adequate level of safety, privacy and thermal and acoustic insulation. This is why Veneto Vetro offers to architectural studios its knowledge of the different solutions that are available today. In cases where the facade glass is to be positioned at a height of more than 100 cm, it is also provided for by the UNI EN 14179 standard that these are submitted to HST. Veneto Vetro, among the numerous processes and machinery, also has the technology to perform the Heat Soak Test.